Wireless paging systems have made communication so much easier in a variety of industries but most especially in the hospital setting. In a place where mere seconds could mean the difference between life and death, having a reliable communications system in place is invaluable. The use of nurse call systems extends beyond the hospital environment also. These wireless systems can be used anywhere that there is an ill-stricken or elderly patient who needs constant monitoring. 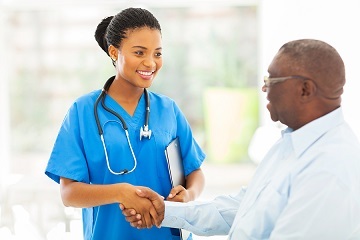 The benefits of having nurse call systems in place are numerous. Let’s take a further look at these benefits. The discreet nature of nurse call systems means that patients get help with minimal attention drawn to them. Communication between staff is also low key which aids in keeping the environment calm and quiet. The nurse’s call button can also be used to call other staff to a room if added help is needed with a patient, thereby not leaving the patient’s side in a time of need. Having the room and bed number come up, allows for the staff on duty to be able to go directly to the patient in need and not waste time looking around for the patient in question. This time-saving factor allows them to have more time to concentrate on paperwork and check-ups and only being called when needed. Nurses also have the opportunity to be a little more rested and less stressed allowing for better work output. Emergency doctors wearing the wrist watch receiver can proceed directly to a patient in distress instead of first having to check in at the nurse’s station. A nurse call system comes with software that records response times. This can be used by management to keep an eye on staff members and ensure that they have a rapid response to calls. Wireless nurse call systems are very cost effective to implement into any medical setting or home environment. In addition, maintenance is not needed very often. Completely wireless nurse call buttons mean that there are no unsightly wires hanging about, nor will there be any need to panic if any remodelling needs to be done in the future. It is simple to use. The patient and caregiver will each have access to their own call buttons. For patients, this could be a small button device placed next to the bedside or a lanyard which can be worn around the neck. 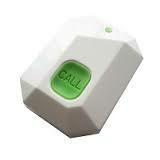 Anytime help is needed, the button would simply have to be pressed to alert the caregiver or nurse. On the caregiver’s side, there is the option to wear the wrist watch or have the alert come through on a display monitor. This way, help is given when it is needed, and there is no need to constantly hover over the patient. 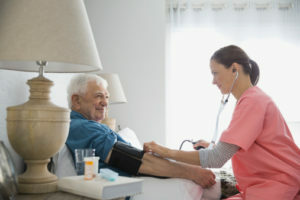 In retirement homes, nurse call systems can be used even if patrons have no medical emergency. Each person here would get their own call button to keep on their person at all times, allowing for independence with round the clock assistance whenever needed.